Breve Display is a typeface created by Dino dos Santos and published by DSType that is available in four styles designed to be suitable for editorial projects. 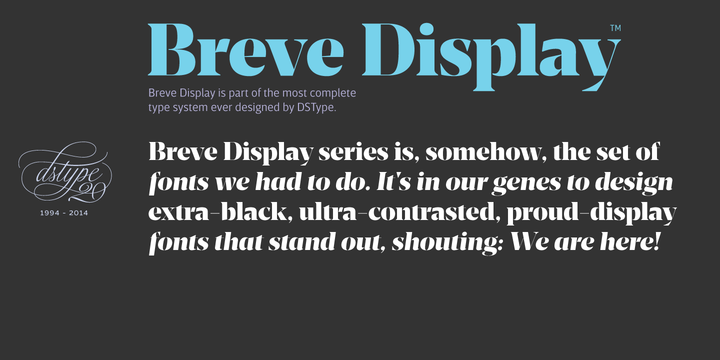 Breve Display is a set of fonts that had to be designed! A font description published on Monday, December 8th, 2014 in Dino dos Santos, DSType, Fonts by Alexandra that has 4,044 views.